It’s the smallest country at Eurovision and it’s thinking big with its new national final. San Marino‘s national broadcaster SMRTV has now revealed details of the national final 1 In 360 that will be used to select the microstate’s act for Lisbon. Last month, after a long selection process, the 11 competing acts were confirmed. We also know that the contestants have been busy at recording sessions in Austria and filming in Slovakia. And now the broadcaster has revealed just what all that hard work has been in aid of. 1 In 360 will involve three shows. The first two will be pre-recorded and no acts will be eliminated. They will be held on Friday 9 February and Friday 16 February. The live grand final will be held two weeks later on Saturday 3 March and it’s there that San Marino’s act for Lisbon will be decided. In preparation for the series, the contestants have been involved in a songwriting camp in Vienna. There, they teamed up with established songwriters and wrote songs, both for themselves and for other acts. We’ll hear the songs in the first two shows. The acts will perform acoustic versions of their songs and will receive feedback from the judges. At the end of the second show, the judges will select one song for each act. At the finals, the 11 candidates will perform the full version of their song. The winner will be selected at the grand final, through a combination of jury vote and a public online vote. Following allegations of vote fraud in the early stages, two safety mechanisms have been put in place to ensure the vote will be fairer and less open to manipulation. First, the online vote will cost €1 and is limited to one vote per Paypal account. 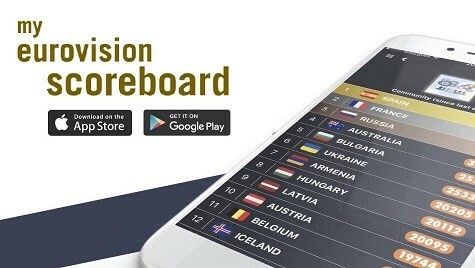 The voting system will use the Eurovision points system of 1, 2, 3, 4, 5, 6, 7, 8, 10 and 12 points. But when it comes to the jury/public vote split, things get a little complicated. In order to make the public vote harder to manipulate, the proportion of jury vote to public vote will change depending on how many public votes are received. If less than 50,000 votes are cast, the public vote will account for 10% of the total vote. If between 50,001 and 100,00 votes are cast, the public vote will make up 20% of the total. If between 100,001 and 200,000 votes are cast, the public vote is bumped up to 30%. If between 200,001 and 250,000 votes are cast, the public vote becomes 40% of the total. And if more than 250,000 votes are cast, the public vote and jury vote become 50% each. Fans will also have the opportunity to invest in the song. A crowd-funding system will allow fans to buy a share of the song royalties. This has no bearing on the vote and has no influence on who will win the contest. The full studio versions of the songs competing in the grand final will be made available on 23 February, one week before the grand final. The vote will also open on that day, giving fans plenty of time to get to know the competing entries. What do you think of the format of 1 In 360? Would you pay €1 to vote? Who would you like to see in Lisbon? Share your thoughts below! The format doesn’t make much sense. First perform them in acoustic? Why? Three shows for what? This is all a waste of time and money. Let’s not talk about the songs, I don’t really have faith on them. They’re very naive, even greedy to think that they’ll receive more than 50 000 votes. No they probably think that’ll be the highest possible. So, will every Artist be in the Grand final? So the pre-recorded shows are just preview shows? Or does each Artist have multiple songs, but only one will make the final? – and if the Wikipage is anything to go by, one of the Judges (Zoë) is credited to one of the competing songs! when Mugabe was president in Zimbabwe, he banned the Zimbabwean flag. Weird to see the Zimbabwean dude in a t-shirt with the Zimbabwean flag on it. Whatever the outcome, big big congratulations and thanks to this small country for being so involved. I was so angry when Valentina Monetta’s Crisalide didn’t make the final. They are a small country that took everything into consideration. Good for them. San Marino really wants it, they want so much to be in top 13 (the left side of the scoreboard). Is my favorite underdog. Go San Marino, I would be so happy if it will win the whole thing.